A new poll indicates that unless things change in coming months, Coloradoans could be the first to legalize possession of marijuana. According to the Denver Post, Amendment 64 has the support of 51 percent of voters surveyed, compared with only 40 percent opposed. While this is encouraging, it isn’t a slam dunk. Last year as Californians waited for voting day, 52 percent supported legalization, but the measure still failed. Here, though men still support the measure more than women, 49 percent of women polled support it and only 39 percent opposed. Income didn’t matter in the poll as respondents from every economic bracket supported legalization, and every age group except the 65-and-older club would vote to legalize. Eight percent of those surveyed are still undecided on the matter—leaving plenty of work for supporters and opponents to do in coming months. That 8 percent, when added to the 4 percent margin of error in the poll, could mean the difference between the Amendment passing or failing. Thirty-eight percent of Republicans surveyed support the Amendment while 60 percent of Democrats and 55 percent of Independents would vote to pass it. Further embroiling the matter is the presidential race, in which neither candidate has supported marijuana legalization, though both have tap-danced around it. 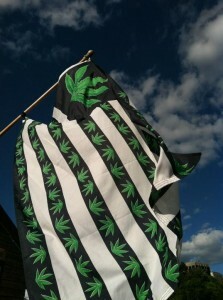 Prior to his 2008 election, Obama promised not to get involved in state-run medical marijuana programs. But since taking office, federal drug raids on medical marijuana dispensaries have gone through the roof. Romney has said specifically that he believes marijuana is a gateway drug, despite his running mate saying he wouldn’t get involved in any state decisions regarding pot. 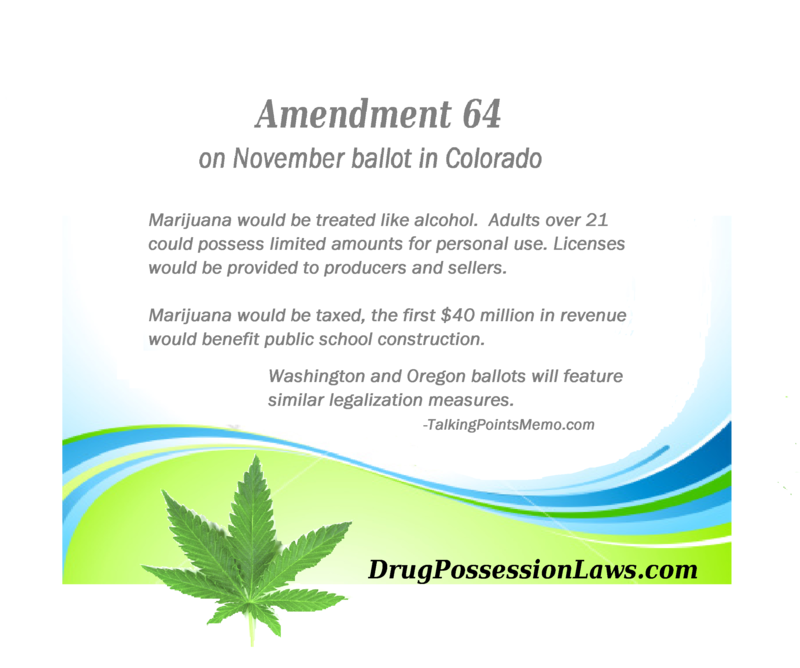 Amendment 64 would legalize possession of a small amount of marijuana. Adults would be able to possess up to one ounce of pot without risking arrest or prosecution from state officials. They would, however, still be vulnerable to federal law enforcement should the feds choose to arrest and prosecute. Until it passes, Coloradoans are still subject to penalties if caught with marijuana. Though possession of less than an ounce has been decriminalized, it still carries fines. And if you are caught with more than a single ounce, you face potential jail time and a criminal record. If you are charged with a marijuana crime or any other drug offense, contact our offices today.